the everyday problems faced by professionals in the marine sector: boat builders, shipyards, engineers and architects, captains, skippers and owners. Nowadays, adhesive films are part of our daily life (buildings, trains, aircraft, flooring, signage, etc.). Thanks to the fast progress now made by modern industry, these adhesive films have proudly penetrated the most difficult, demanding and remarkably efficient of domains – the world of yachting. 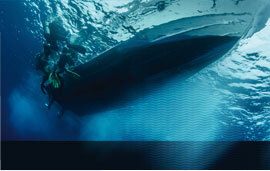 Antislip film for all types of boat. 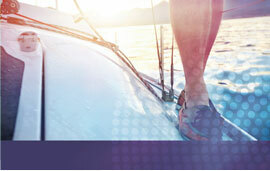 Pro-speed film for all types of boat. 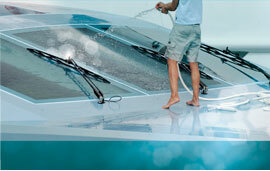 Anti-UV and anti-impact film for all types of boat. 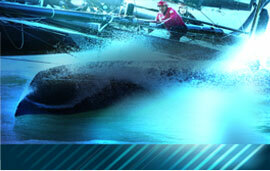 Pro-glide antifouling film for all types of boat, regattas & competitions. 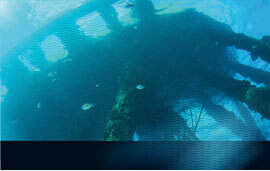 Antifouling film for fixed installations. 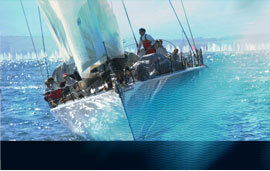 Antifouling film for all types of boat.